Bacterial leaf streak is caused by the bacterium Xanthomonas vasicola. 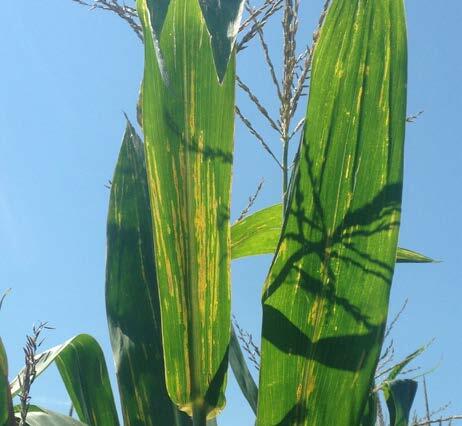 The disease has been observed on field corn, seed corn, popcorn, and sweet corn. 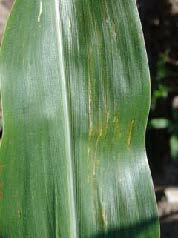 Symptoms of bacterial leaf streak are tan, brown, or orange lesions that occur between the veins of the corn leaves. Lesions are long, narrow, and less than 1 inch to several inches long. Lesions also can occur close to the leaf midrib or across the leaf blade. 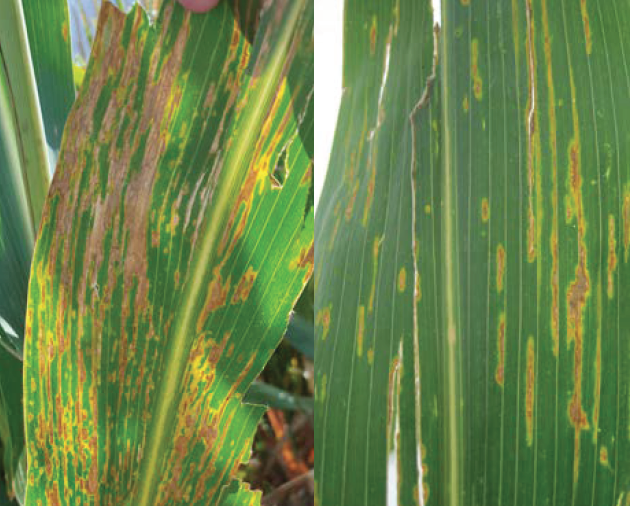 Bacterial leaf streak lesions look similar to those caused by gray leaf spot (GLS), except they have wavy margins while GLS lesions appear more rectangular with straighter edges. If backlit, bacterial leaf streak has long, yellow halos that extend from each lesion, unlike GLS lesions. 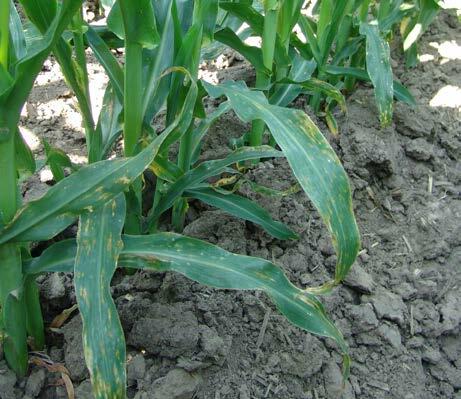 Based on what is known about other bacterial diseases, the pathogen that causes bacterial leaf streak likely survives in corn residue and is spread by wind and rain/irrigation. Currently, there is little information available for managing bacterial leaf streak. Field observations suggest that corn hybrids differ in susceptibility. Once hybrids can be screened for resistance, using resistant hybrids will be the best way to manage bacterial leaf streak. 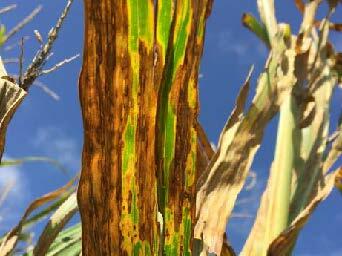 Like other bacterial diseases (such as Goss's wilt) there are no effective chemical controls. We do not recommend tillage to reduce the risk of bacterial leaf streak due to the need to manage soil erosion. While bacterial leaf streak has been most commonly observed in overhead-irrigated fields, it is also known to occur under both flood irrigation and dryland conditions. Researchers are investigating possible effective management strategies and potential sources of resistance. Narrow leaf lesions characteristic of bacterial leaf streak. Bacterial leaf streak lesions have visible, bright yellow halos when backlit. 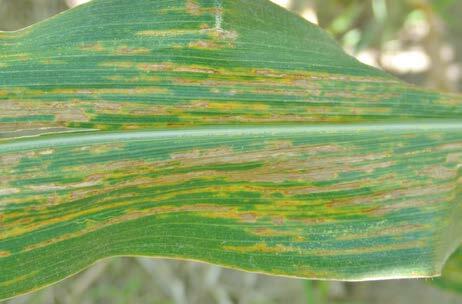 Bacterial leaf streak lesions can expand to cover large areas of the leaf. In extreme cases of bacterial leaf streak infection, large necrotic areas may be observed. 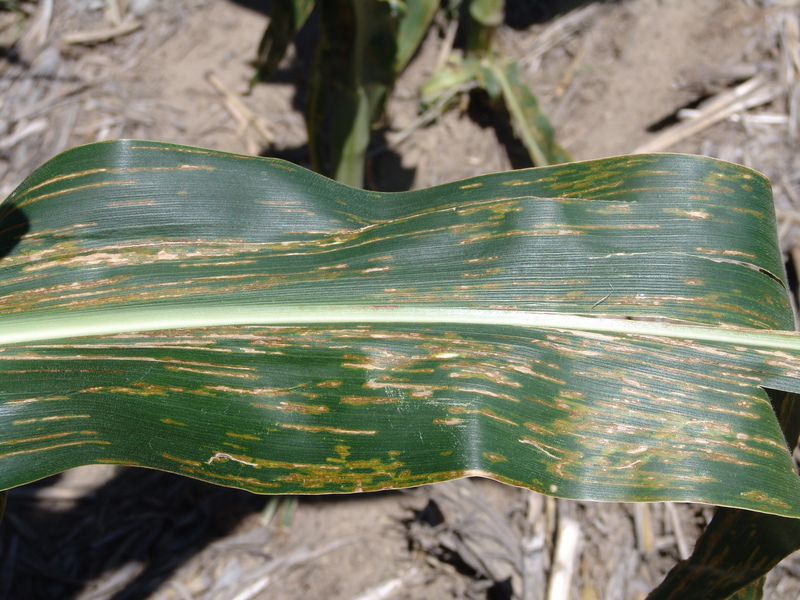 Bacterial leaf streak lesions may be observed first on lower leaves. 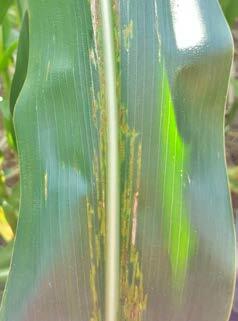 Bacterial leaf streak in the upper canopy is more common after tasseling. 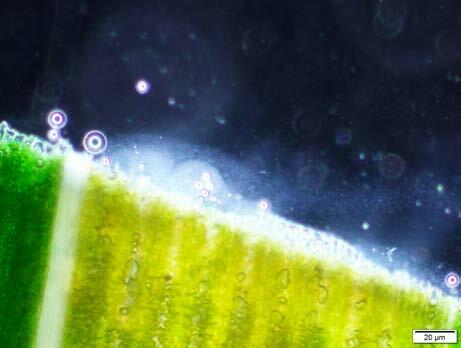 Observing bacteria streaming from an infected leaf is the first step to diagnose this disease.